So, it's Monday again, but I was lucky to have a three day work week last week and a lovely weekend, complete with lots of dates with Jesse, quality time with friends, including a baby shower/pool party full of friends, kids, and Georgetown Cupcakes (yum), time to run some errands, and a few good workouts, including a hot and hilly long, but successful, marathon training run. Pictures of the fun can be viewed here. I also caught a cold, which isn't so lucky, but nothing that Sudafed, tea, and NyQuil can't handle. Still, I apologize in advance if this post doesn't make much sense since my head is still a bit foggy. Last week, I also got to wear this fun skirt for the first time. 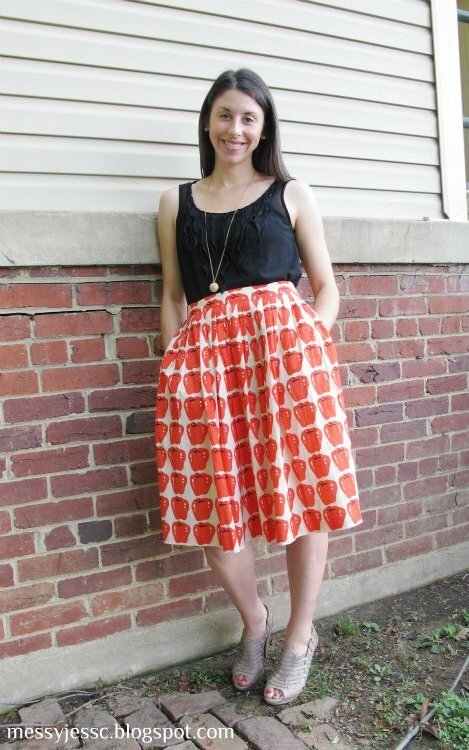 I am a big fan of this skirt - the pattern, the colors, the pockets - but I do think it may be a bit too bold for one of my coworkers who literally jumped back from me when I stood up from behind my desk and he saw the entire outfit. Men. Hi! 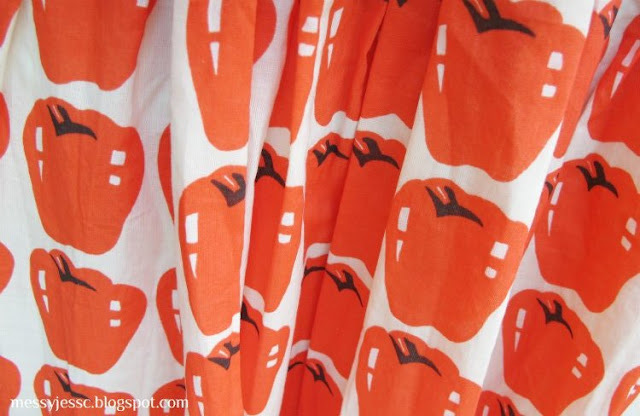 Just popping over from EBEW to say that your skirt is totally adorable. I love it! Thanks so much Niki! I appreciate your comment. Also, I love your blog. It's adorable! Hope to see you around Messy Jess C. again. Happy Friday! I'm totally in love with that skirt! Your coworker simply knows nothing about fashion--this is adorable! The print is bold--love it! Thanks so much for your comment. 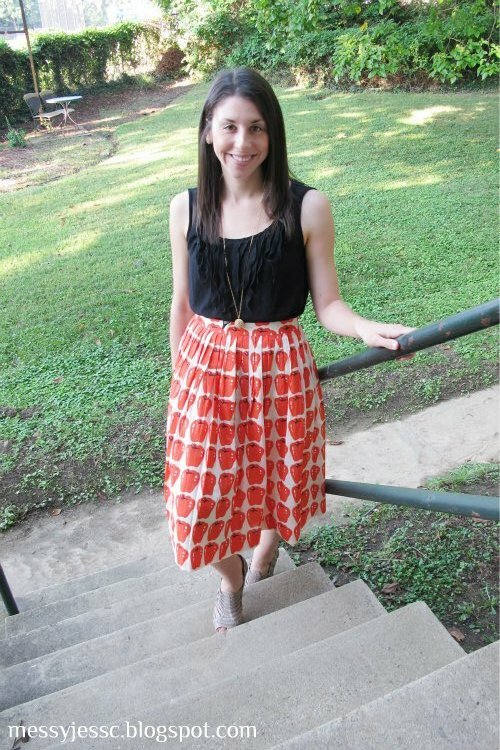 It is such a fun skirt and perfect for heading back to school. Thanks for stopping by. Hope you will continue to follow Messy Jess C. Have a great weekend! Thanks so much Mary! Your blog is great also. I just had a chance to check it out. Keep up the great work and hope to have you as a Messy Jess C. reader. Have a great week!